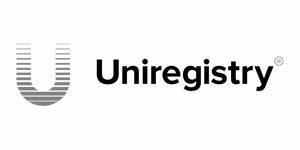 Uniregistry released over 3.5 million previously withheld domain names across 19 TLDs, including 1.2 million premium names. The 3,636,440 domains were released today at 10am PDT / 1pm EDT (17:00 UTC). Most of the Uniregistry TLDs, such as .lol and .help, released about 20k to 45k names. But .click and .link saw more than 1.5 million domains in each extension released. The domain names are now available at both standard prices and premium prices. Uniregistry has built a new search tool so users can specifically look through the lists of newly released domains. Indeed. E.g. I can’t even think one 1 .lol premium name yet alone a few thousand of those. But Frank says that are all gems …….LOL should I re-mortgage ?? They dropped a bunch of domains so they didn’t have to spend money on renewals. Yet, many are registry reserved. Utter Garbage list of domains, I have no idea WHY they held those Useless domains in the first place. I went through all the csv files and found NOTHING worth registering, well, maybe just one [ Chinese.Hosting ] which I did register at regular price (I wouldn’t if it was premium). Indeed mind-bogglingly USELESS! I think they used automatic scripts to reserve anything with the smallest potential. Now they kept what they think are the good names and released all the others.